Crisp. Clean. Delicious. 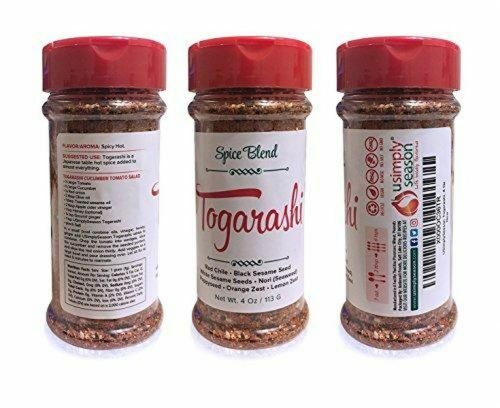 Asian cuisine has delighted palates across the globe for centuries, and the popularity of seasoning like our Togarashi Spice shows no sign of stopping. 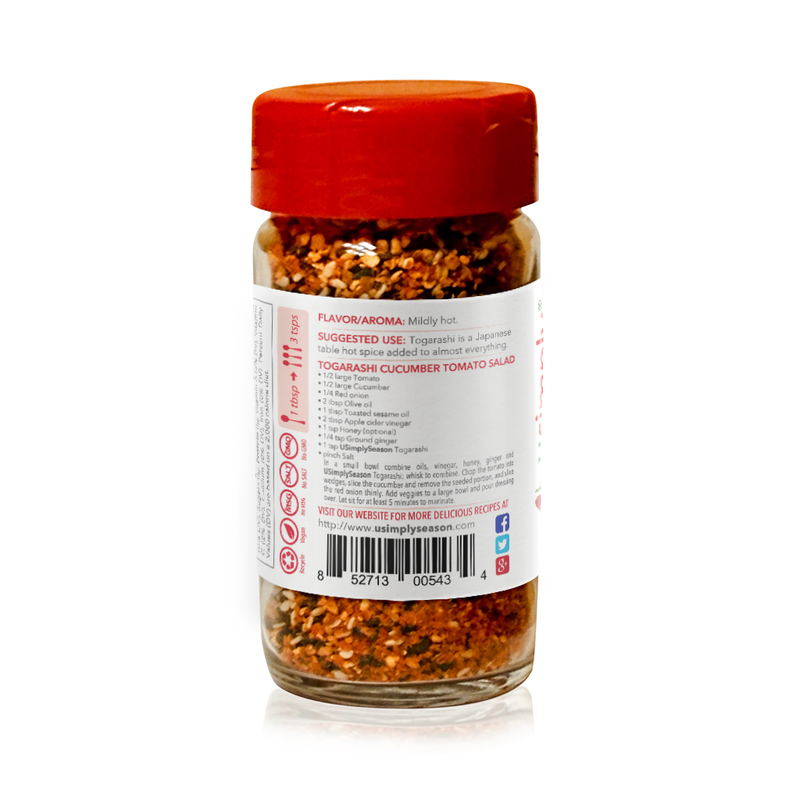 Aquatic greens join the blend in seaweed – yes, seaweed! 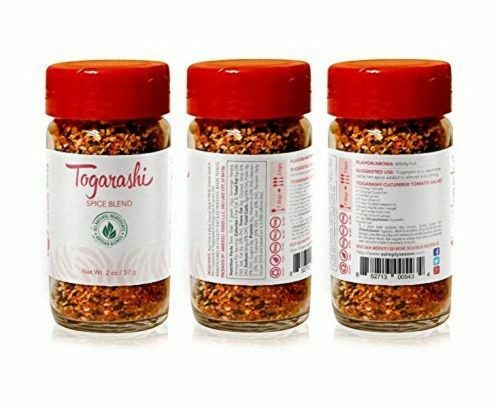 – are joined with sweet citrus orange, hot red chili and szechuan peppers, sesame seeds and garlic in this delicious USimplySeason version of Japanese 7 Spice. Our Shichimi Tōgarashi is hand-blended in the United States from premium ingredients, and includes only flavorful spices: it’s salt free, GMO free and MSG free so your dishes remain true to their culinary roots. Following a paleo diet plan? 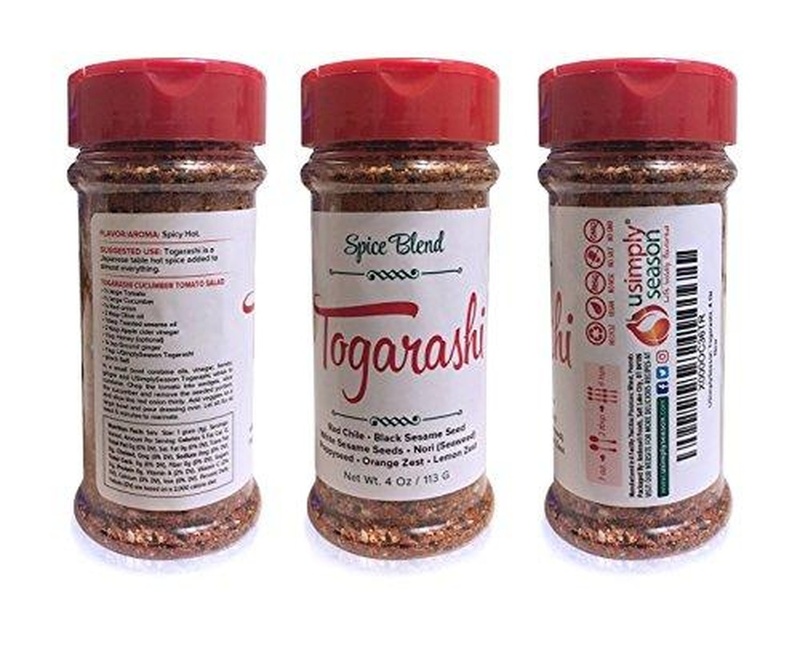 This Japanese Seven Spice is ideal for adding flavor without adding processed additives, and makes everything from homemade “Asian style” beef jerky to roasted vegetables taste sensational.